Perfect Reading, Beautiful Handwriting ebook offers a simple step-by-step program for teaching your child to read well and write beautifully. It can be a primary or supplementary teaching tool. eBook, consumable, 8.5 x 11″, 218 pages. Also available as a print book or print and ebook bundle. is the book for you if . . .
You would like to teach your four or five year-old to read perfectly and write in a simple, attractive style in sixty days time. You have an older child who is experiencing difficulty learning to read in school. Your child can read well, but has poor handwriting skills. You have always been frustrated with your own handwriting. The ability to read and write is the foundation for your chid’s entire future education. By helping him or her gain these skills, you will be giving your child one of the most priceless gifts imaginable. Whatever your reasons for using this book, you can be sure that it will be one of the most valuable additions ever to your family library. Because this is a book that students write in, it is simple to use — just do the next letter, word, or sentence. In many parts of the book, students write directly below the model, which is the best way to teach letterforms, slant, and spacing. Students don’t get distracted or lose their place as they can do when having to look back and forth from a text to separate paper. The reproducible guideline pages can be copied for additional practice. You can see more about how to use on the page for the print book, and of course, the book itself contains additional instruction. Click here to download a PDF sample of Lesson 31 from Perfect Reading, Beautiful Handwriting ebook. What is in Perfect Reading, Beautiful Handwriting ebook? Here is the table of contents to give you an idea of all that is covered. The thing I love most about this book is that every page serves as a model of the handwriting style it teaches. As you can see in the sample lesson (download it from the link above), every line clearly teaches what writing should look like. To begin with, letters, words, and sentences are practiced right on the pages of this book. As students progress, they can use the reproducible guide sheets for all copywork and dictation, as well as other writing assignments. The guide sheets help students develop a rhythmic, even handwriting, so be sure to photocopy plenty of them (lessons are not reproducible, but the guide sheets are). Caroline Joy Adams has taught calligraphy in the Boston area at the Harvard University Center for Lifelong Learning, (a former part of the Harvard Extension School) as well as at MIT, and the Tufts University Experimental College. She is the author of An Italic Calligraphy Handbook, a textbook on calligraphy for adults, published in several editions in the US and Great Britain, and most recently published by Dover Publications. 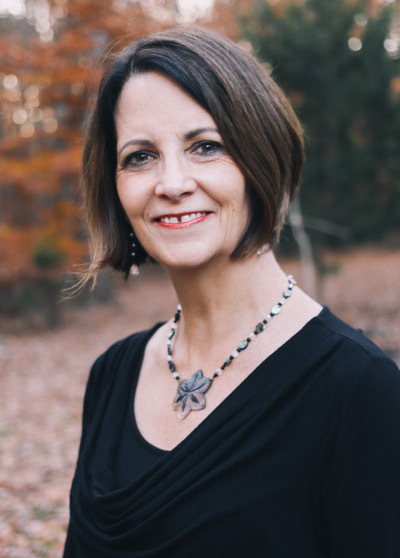 She is also the author of A Woman of Wisdom, and The Power to Write: Seven Keys to Discover Your Writer Within, and has taught hundreds of Creative Writing workshops over the years across the country, from California to New England. Currently, Caroline is an Adjunct Professor of English at Paradise Valley Community College, in Phoenix, Arizona, where she has taught since 2008. She loves to inspire her students to gain an appreciation for the power and beauty of the written word, in all its many forms. She is also a passionate nature photographer, and leader of seminars on a variety of topics. Her forthcoming book, Your Life is a Sacred Journey: Making the 28 Day Sacred Journey from Wherever You Are Right Now, features her beautiful photography and inspirational words. Her two websites are www.CarolineJoyAdams.com and www.SacredJourneyMoments.com.